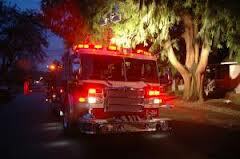 A kitchen fire erupted in the kitchen of an apartment in a three story apartment complex in Melbourne, FL. The fire was reported late in the evening and the apartment complex was evacuated. According to the Fire Rescue investigators, the fire sprinkler system contained the fire until fire crews arrived on the scene. Approximately 30 fire fighters responded to the apartment fire and doused the blaze quickly. No further fire damage was caused and residents were allowed to return to their apartments. A fire is a scary thing. Especially contained inside a large complex like an apartment building where there are many residents to evacuate from several floors. 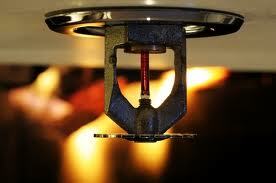 Don’t risk the lives of others and your property, install fire sprinklers in your apartment or business complex. Fire sprinklers buy you time to get people out of the building and help to suppress the fire keeping it contained to one location. For more information on the installation of a fire sprinkler system and a free estimate, call CJ Suppression in Corona, CA today at 888-821-2334. Visit their website at www.cjsuppression.com. The Met’s administrative office damaged due to fire. The fire erupted in the morning on the fourth floor of the stadium’s office complex. The fire was contained by the office’s sprinkler system and later fully extinguished by firefighters. The fire caused minor damage and the cause of the fire is still being investigated. Fire sprinklers saved the beloved Met’s field and can do the same for your home or business. 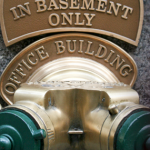 Contact CJ Suppression in Corona, CA to have a fire suppression system installed. Call for a free estimate 888-821-2334 or www.cjsuppression.com. Citizens of Edmond, OK are being encouraged by fire fighters to install fire sprinkler systems in their homes. “It is like having a fireman with you 24 hours a day,” said Mike Barnes, chief of fire prevention. According to the National Fire Protections Association, more than 80% of fire deaths occur in the home. Fire sprinklers contain the fire and give the homeowner time to get out of the home. This demonstrates why fire sprinklers are said to save lives and give 24 hour fire protection. Home developers in the area are now giving buyers the option to install fire sprinklers . Whether your need is services for new construction, tenant improvements or Retrofits, the services provided by CJ Suppression is unmatched when it comes to quality and workmanship. CJ Suppression has successfully completed jobs of all sizes. We have been working with Commercial, Industrial and Residential facilities for over 20 years and we strive for quality not quantity. 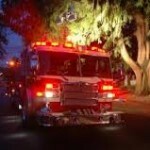 For more information on fire suppression systems contact CJ Suppression of Corona, CA at 888-821-2334 or www.cjsuppression.com. According to the State Fire Marshal’s Office in Texas, not one person has been killed in a fire in Texas inside an apartment complex that had a fire sprinkler system in place. On the other hand 114 people have died in apartment complex fires without a sprinkler system. It is recommended that anyone looking to move into an apartment complex should make sure it is equipped with a fire sprinkler system. 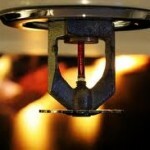 Fire sprinkler reduce fire damage because they instantly tend to the fire. It takes firefighters up to 10 minutes to respond. Fire sprinklers also use less water to contain a fire than the fire department, resulting in less water damage. 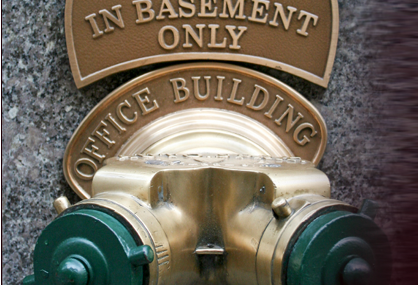 If your home, business, apartment building or other commercial buildings are not equipped with fire sprinklers, get them installed immediately. Contact CJ Suppression of Corona, CA for an estimate 888-821-2334. Visit their website at www.cjsuppression.com.